Cheesemaking. This word encompasses an ancient, ever-evolving practice. 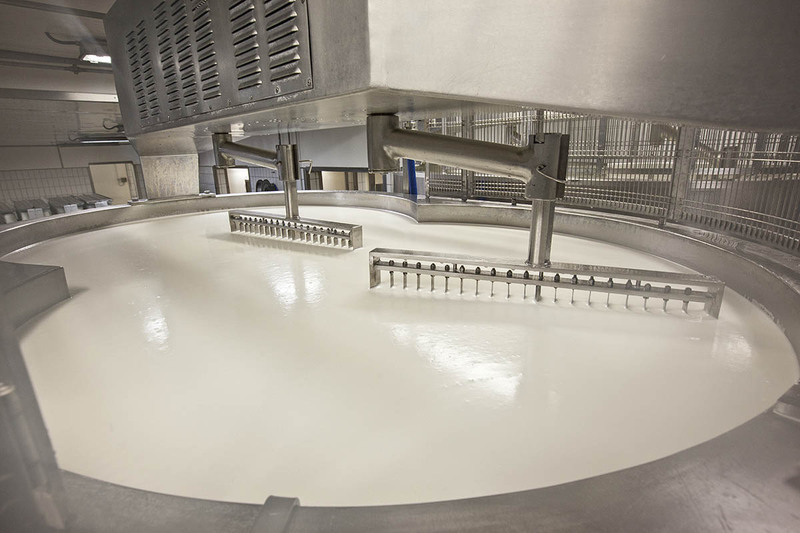 It’s the name of the process that starts with the milk and ends with the final product: cheese. 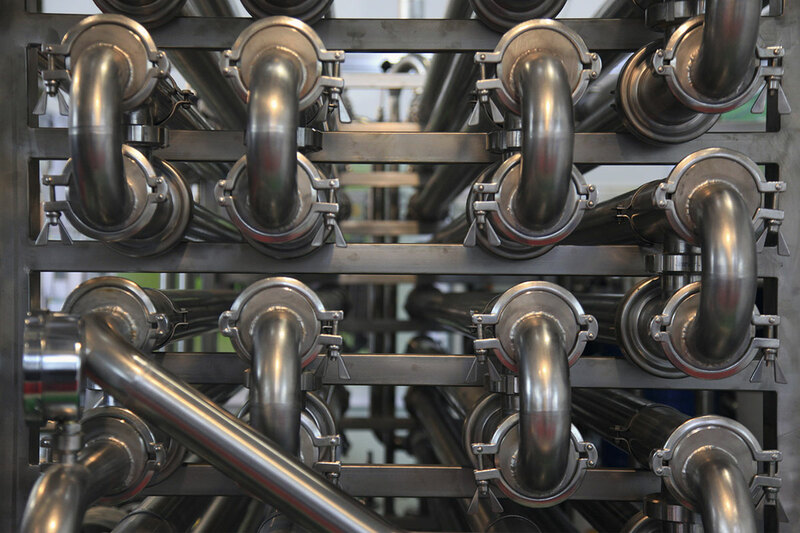 Over time technology has refined and improved the production process, but the dairyman’s touch is still as crucial as ever. In fact, he is the one who makes every single cheese wheel. 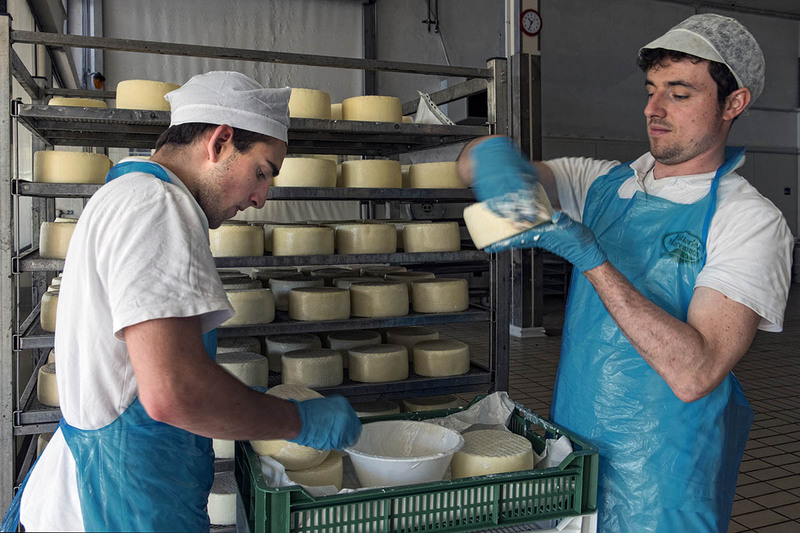 Producing Pecorino Toscano PDO is matter of taking one step at a time, each one helping to make a #fuoridalgregge cheese. The Pecorino Toscano PDO production process begins with milking. Dairy breeds, especially Sardinian, Comisana and Massa, are milked twice a day, for a period that can ranges from 100 to 200 days. Every lactation will produce anywhere from 70 to 300 liters of milk according to the animal’s age and breed. Milking begins after about 7-10 days, when the lamb finishes drinking the colostrum milk, , which is the first milk an ewe produces after lambing. Once the milk has reached the dairy farm, if it is not immediately, it is stored in refrigerated tanks, at a temperature of 4 ° C, until it is picked up by the dairyman to be processed. 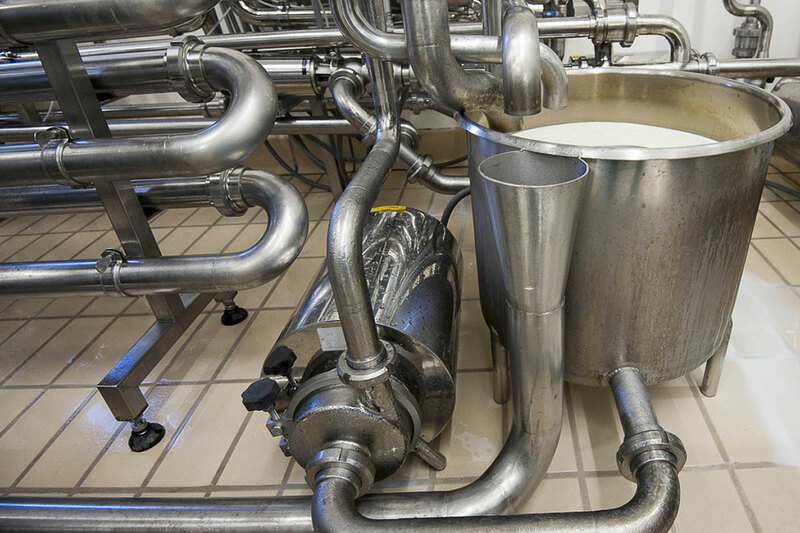 The milk used for cheese production can be used raw or after being subjected to a heat treatment up to pasteurization. The milk, if thermalized, treated enough so as to “quench” the activity of the lactic acid bacteria, or pasteurized, which gives a stronger heat treatment and numbs the lactic acid bacteria, is added to native enzymes, extracted from top-notch Tuscan sheep milk. Cheese begins to form when the proteins coagulate. 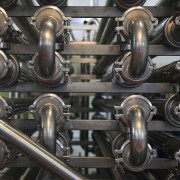 In this stage, the milk changes from a liquid to a semi-liquid. 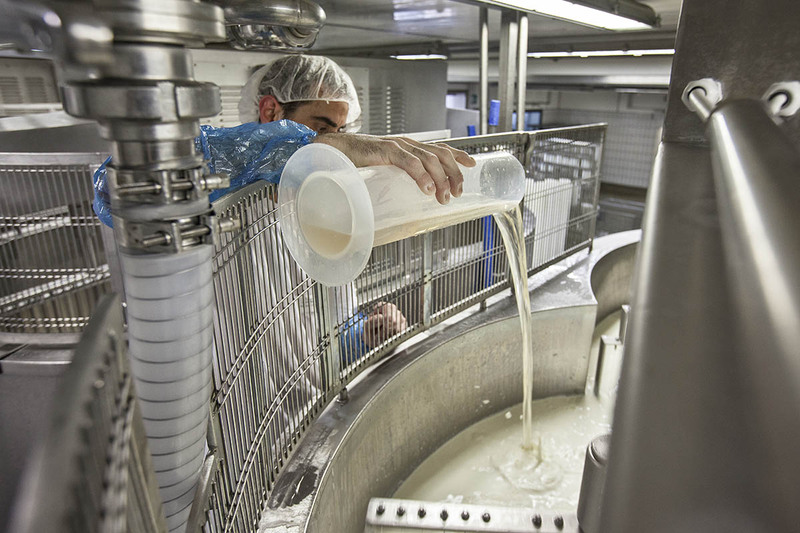 This process, which can also take place when the milk acidifies, occurs when veal rennet or vegetable rennet is added, as is the case with Pecorino Toscano PDO. The milk must be coagulated at a temperature anywhere between 33 ° and 38 ° C in order to coagulate in about 20-25 minutes. The curd is halfway between milk and cheese that looks like a big white pudding. When the curd is ready, it is broken into fairly large lumps. To make Pecorino Toscano PDO soft paste cheese, the lumps should be the size of a hazelnut to retain a greater amount of moisture, but to make semi-hard cheese, then the lumps should be the size of a corn kernel to allow the excess whey to drain quicker. The curd, after it is broken, is put in appropriate cheese wheels to promote syneresis, i.e. whey draining. Giving cheese a shape. That’s the objective of molding, a very important phase of cheese making. The tool that is used in this stage to produce Pecorino Toscano PDO is the mold, which in our case is cylindrical and generally plastic. The remaining whey is used to make ricotta. The part of the whey that still remains in the clot is drained. 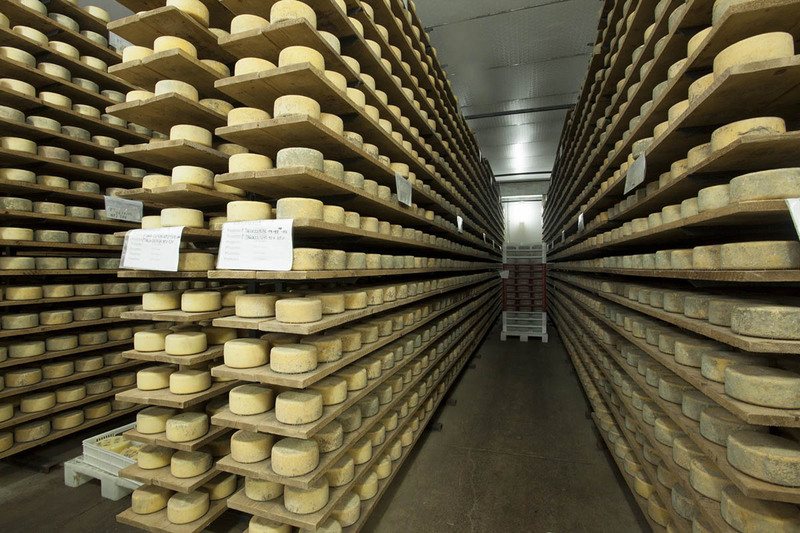 Then, the cheese wheels are put in a room with a temperature of about 35 ° C and 90 percent humidity, where the aging process begins. Salt is a natural cheese preservative, allows the excess whey to be drained, and permits the crust to begin forming. Pecorino Toscano PDO is dry salted, i.e. 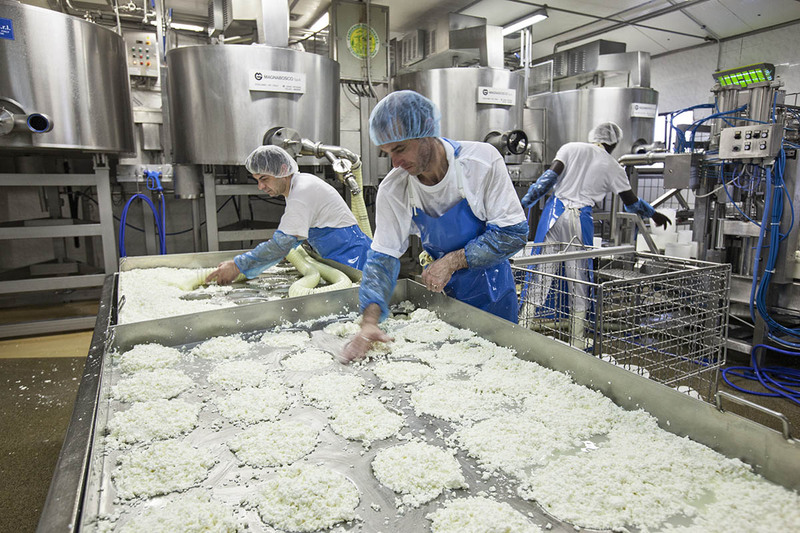 the surface of the cheese wheels are directly sprinkled with salt. Alternatively, the cheese can be salted in brine. Once the ripening process has been completed, Pecorino Toscano PDO has an average amount of salt less than 2%, even in the case of cheese, which has been ripened for a very long time. The ripening period of Pecorino Toscano PDO is anywhere from a minimum of 20 days for the soft paste cheese to a minimum of four months for the aged one. The Pecorino Toscano PDO cheese wheel is left to stand for the “final ripening”. The cultures are always very active during this phase. In this delicate final step, it is fundamental to control two factors: the temperature and humidity of the environment in which the cheese ripens. 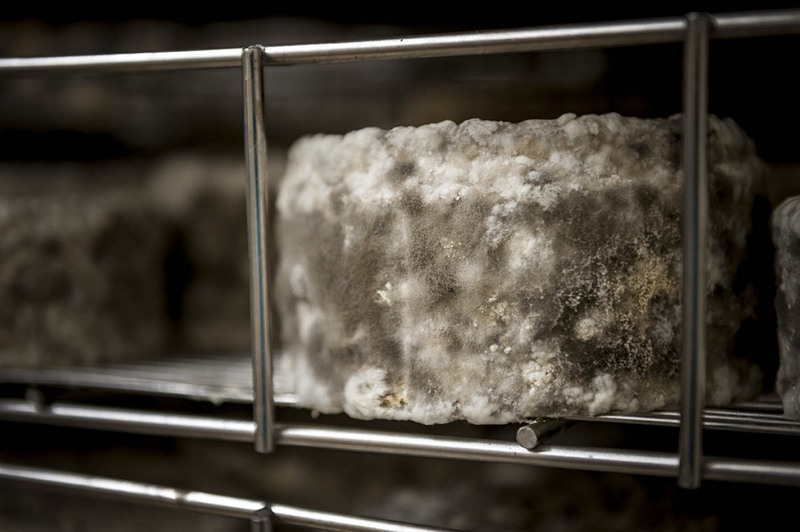 During the ripening process, mold, which begins to grow on the cheese wheels, is periodically washed or brushed off by the dairymen and the cheese ripeners. At the end of the ripening process, the crust is sometimes brushed with oil, ash or tomato. Externally treating the cheese wheel is a process that proves just how important the crust is. Natural elements such as oil, ash or tomato sauce, are used to further protect the cheese from external contamination and excessive dehydration. In some cases it may be covered with plastic wrap for extra protection. 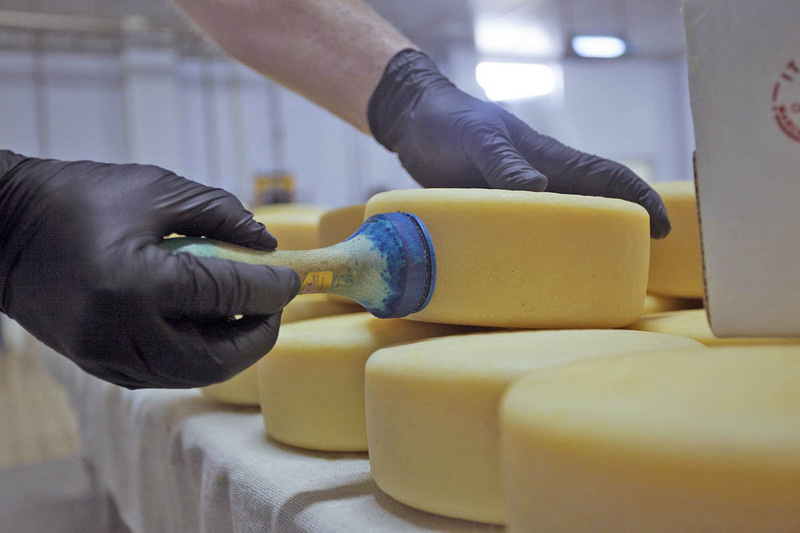 At the end of the ripening process, the cheese wheels are selected one by one to ensure they are defect-free. Only the best cheese wheels are marked and labeled as Pecorino Toscano PDO. You won’t find second-rate Pecorino Toscano PDO for sale. Pecorino Toscano PDO is nothing but a top-notch cheese. Nothing but the best. If it doesn’t have a PDO label, it’s not Pecorino Toscano.